A new inquest has been ordered into the death of teenager who died months after a one-punch assault in County Durham. High Court judges have quashed the open verdict that was recorded by the coroner after Kristian Thompson, 19, died in hospital in July 2011. 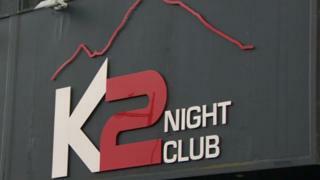 He died nine months after the attack in the K2 nightclub, in Consett. His attacker was jailed for assault. There had not been a comprehensive review of Mr Thompson's medical history, the court heard. At the original inquest, a Home Office pathologist said it was impossible to ascertain whether Mr Thompson had died as a direct result of the attack. The inquest heard it may have been a case of epilepsy or sudden adult death syndrome. At the time, Mr Thompson's family said they felt it was "simply common sense" that there was a link. They were also critical of the Crown Prosecution Service's decision not to prosecute Mr Thompson's attacker for manslaughter. Mark Berry, from Leadgate, was jailed for 28 months after admitting causing grievous bodily harm. During the High Court appeal, brought by Mr Thompson's family, it was argued that there had not been a comprehensive inspection of his medical history. Two judges said that it was in the interests of justice that another inquest should be held. Mr Thompson's mother, Maxine, said the decision was "absolutely fantastic".